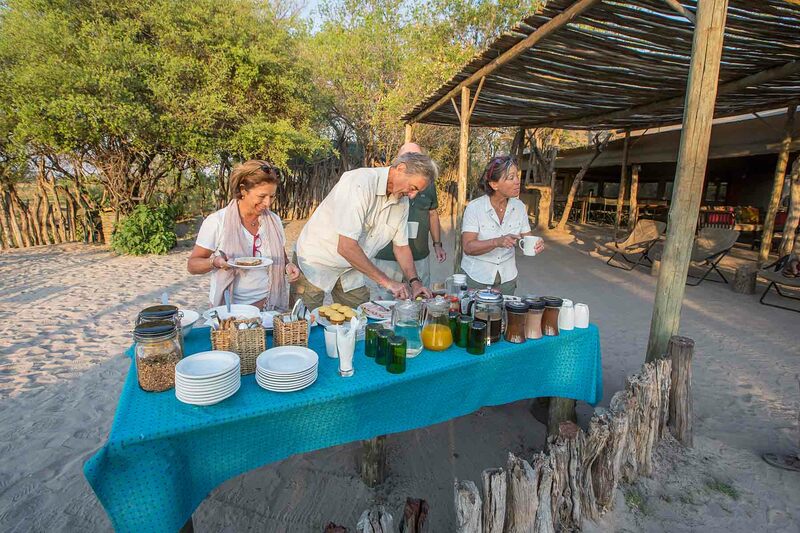 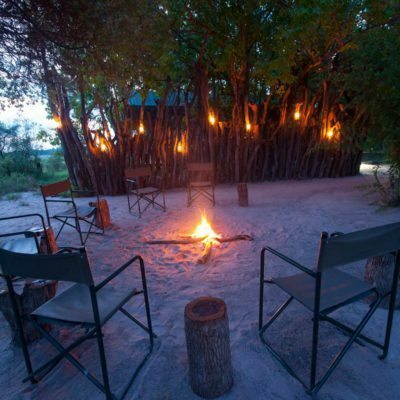 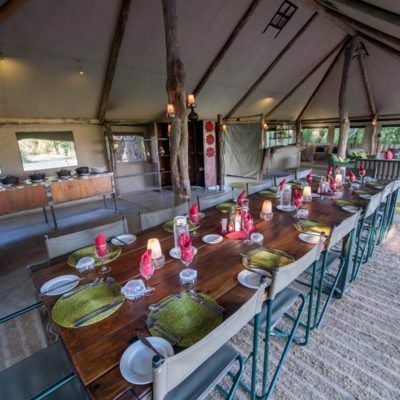 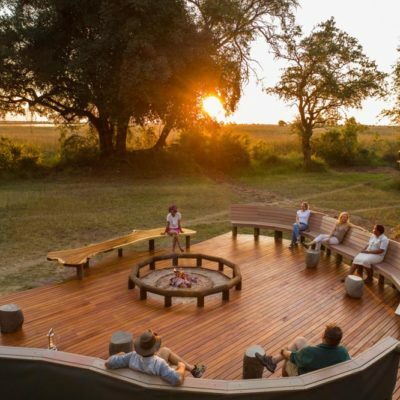 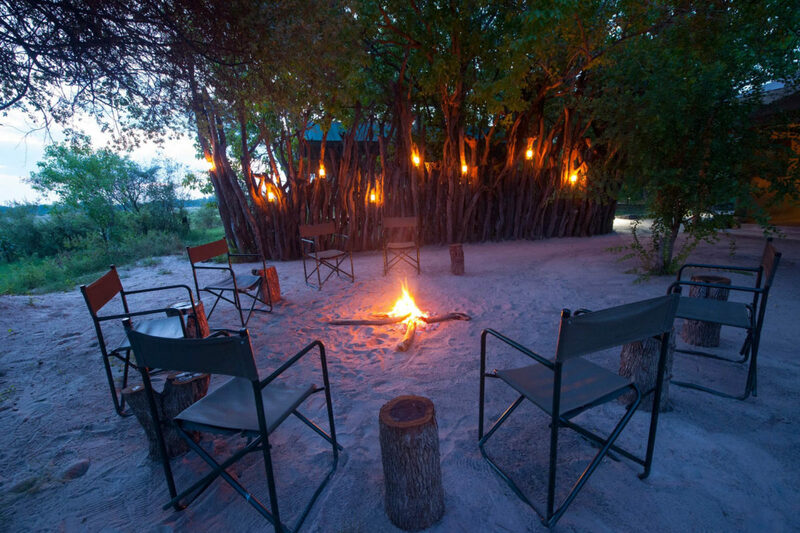 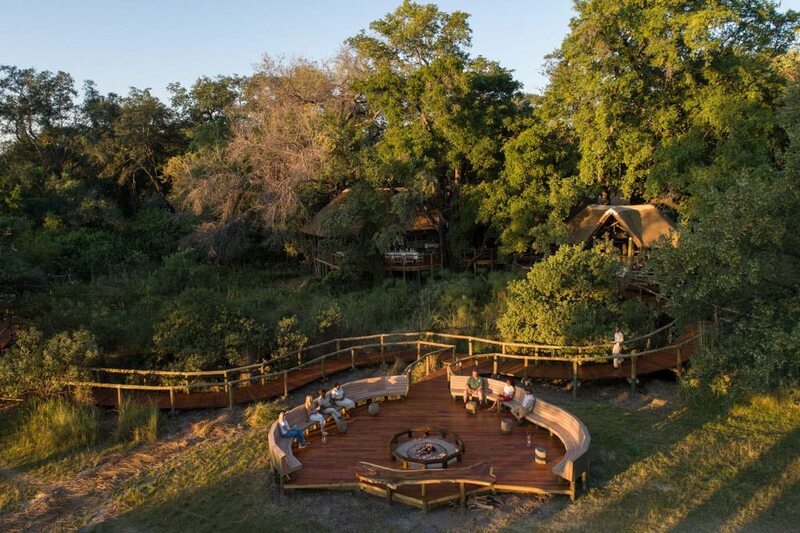 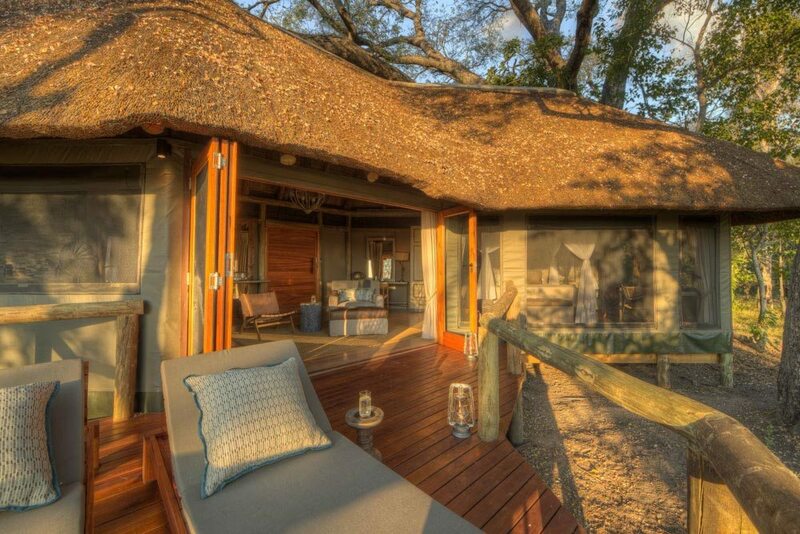 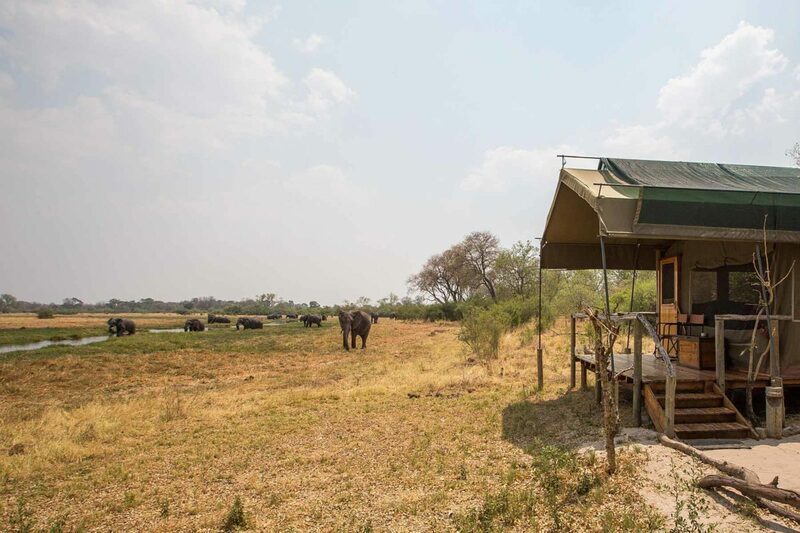 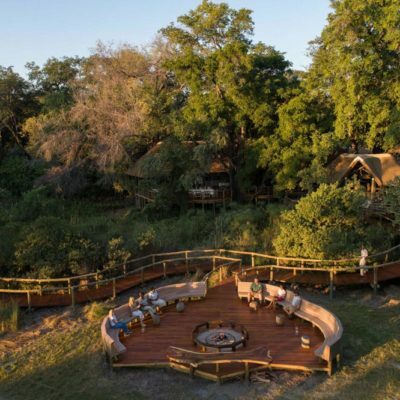 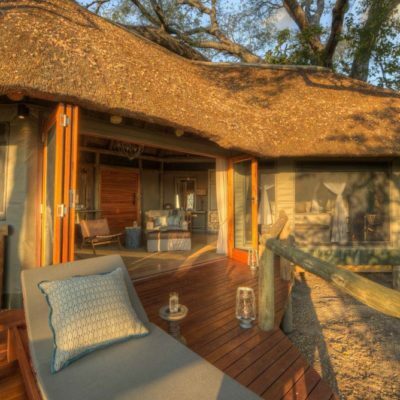 This great little camp is so well priced that it provides opportunities for those on a tighter budget to experience amazing game viewing in a prime wildlife area. 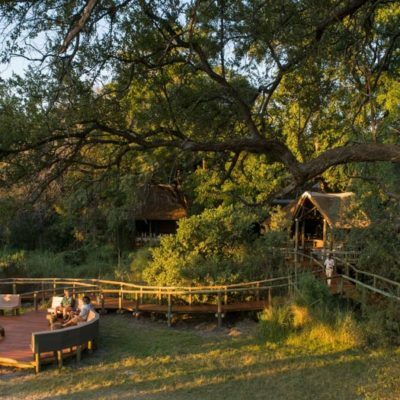 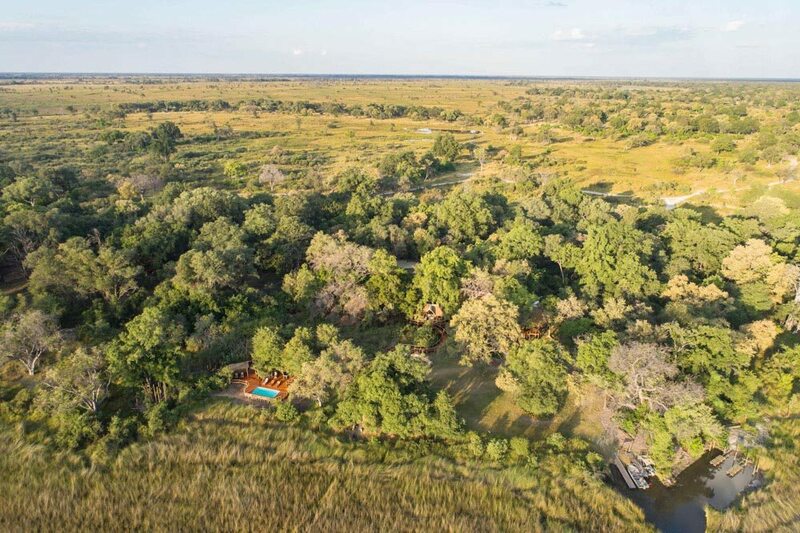 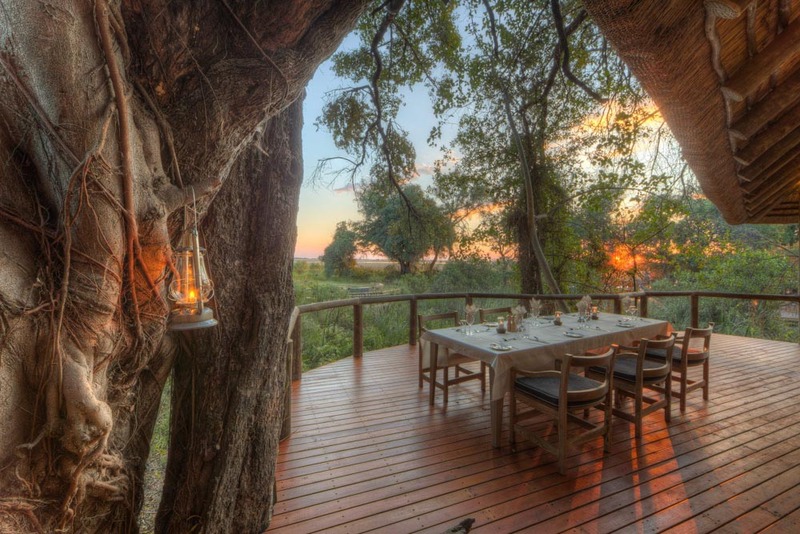 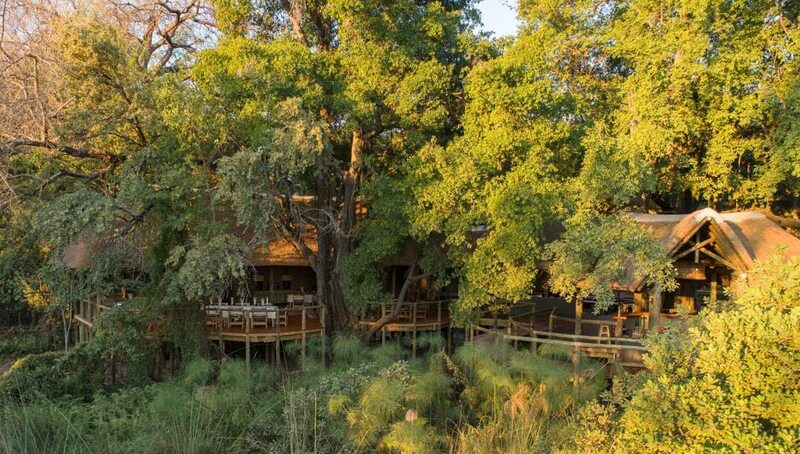 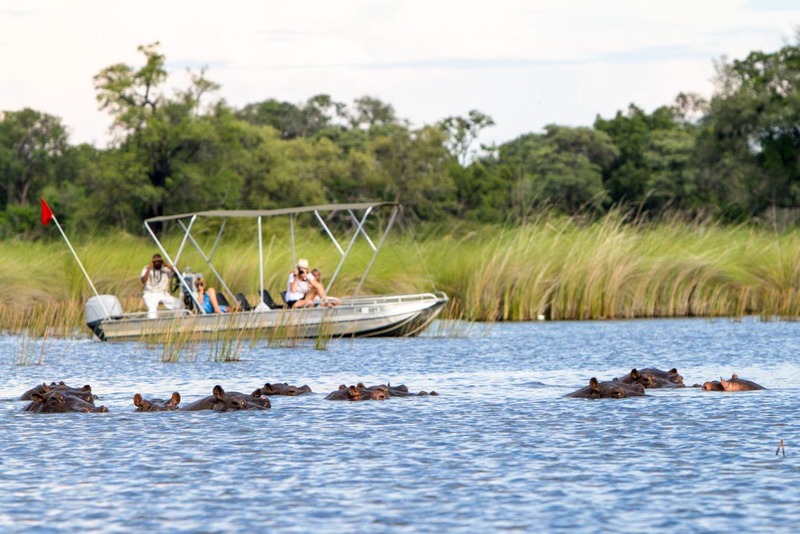 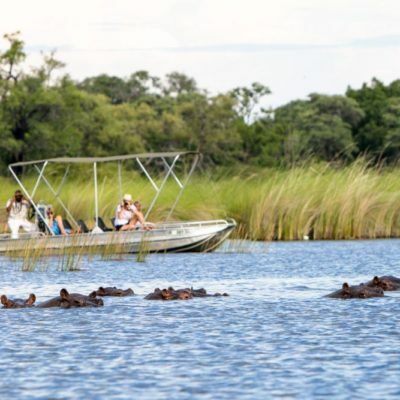 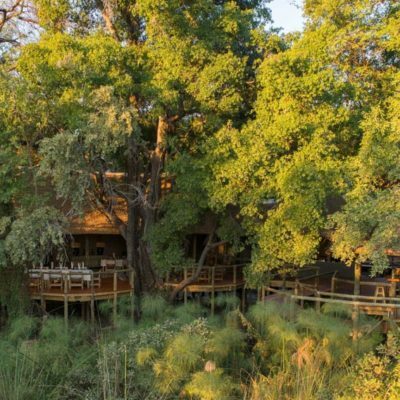 Set on the Khwai River on the outskirts of the Khwai village, Sango sits just outside the Moremi Game Reserve – it actually overlooks the park from the opposite side of the Khwai river. 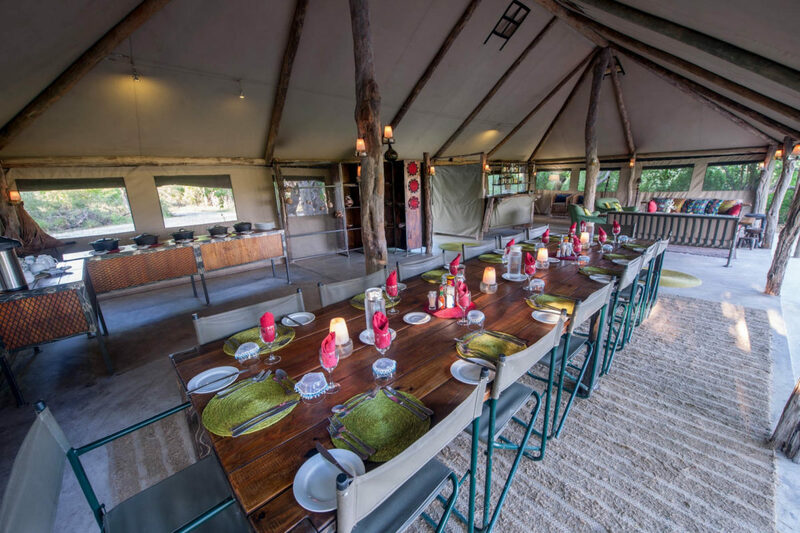 It is the simplicity and relaxed atmosphere that we like in this camp – complimented with good service, no frills and just plain good value. 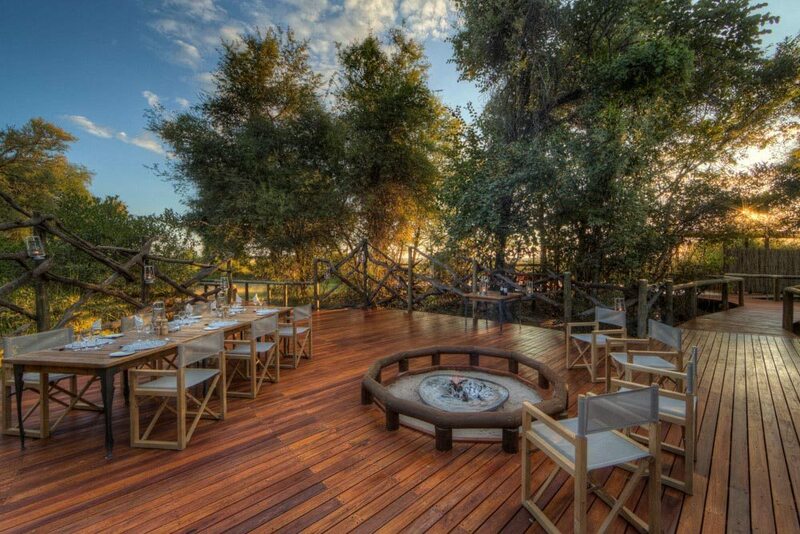 The game viewing is outstanding too! 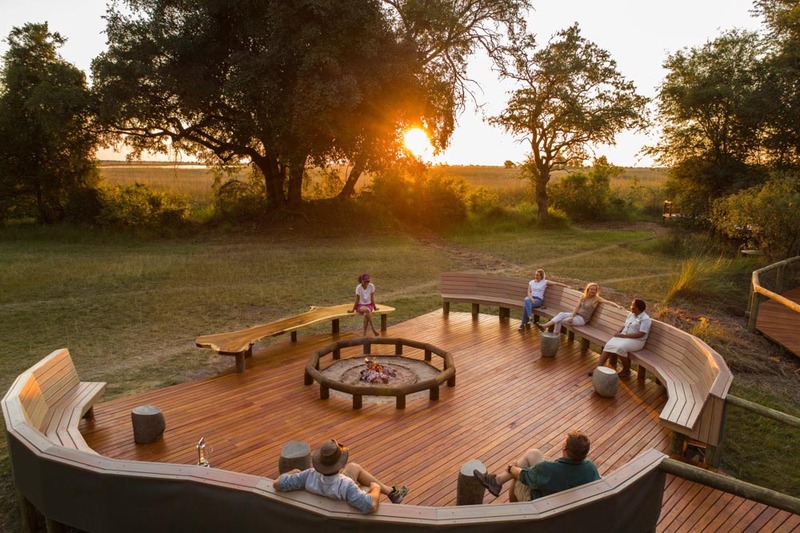 You can fly into the well used Khwai airstrip from just about any other bush airstrip. 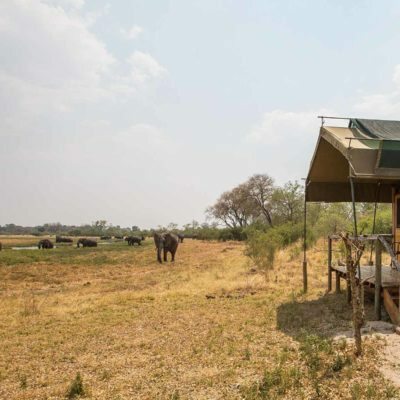 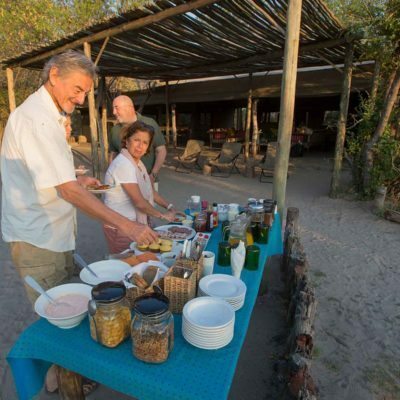 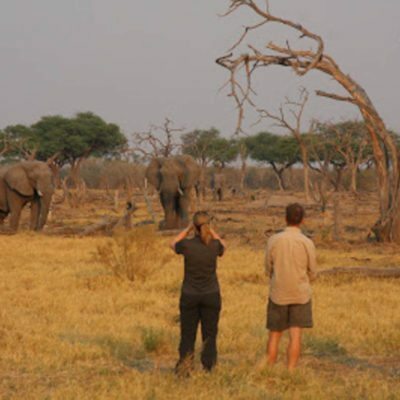 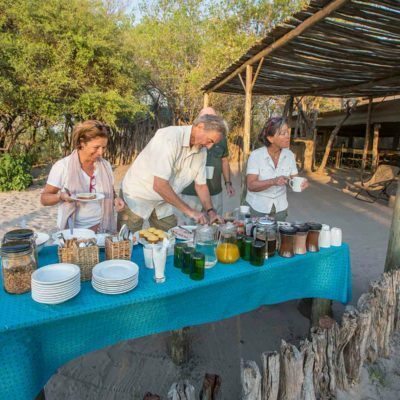 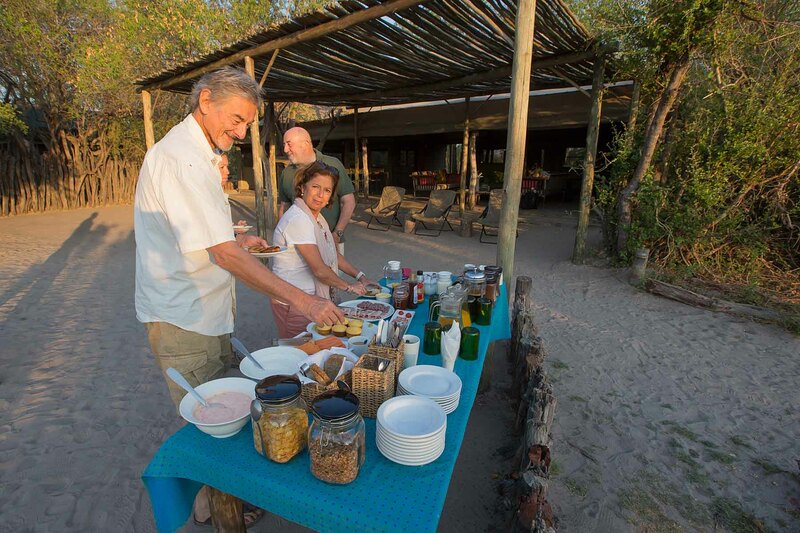 We like this camp because it is also accessible by road on a self drive safari or as part of your itinerary on a mobile safari. 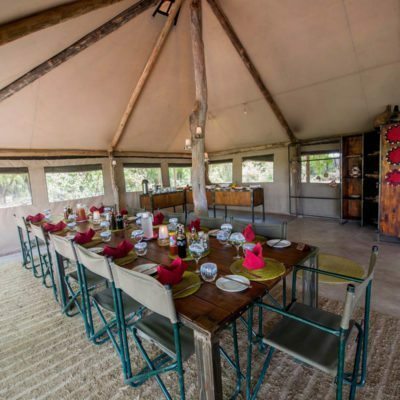 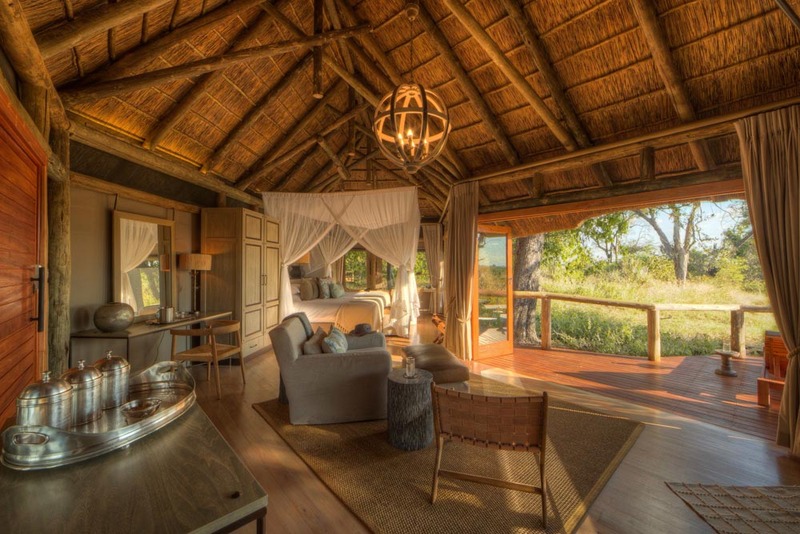 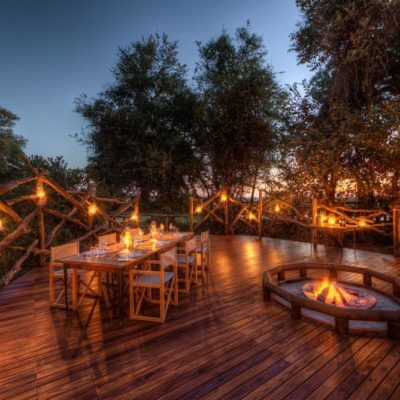 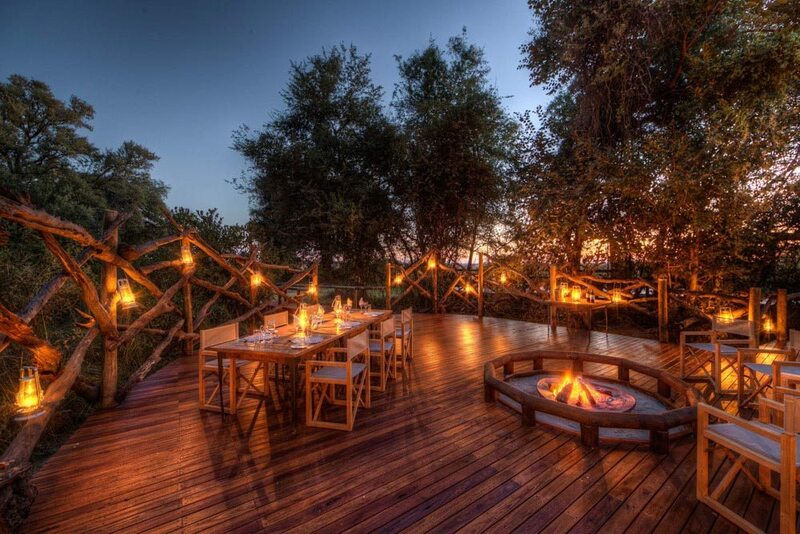 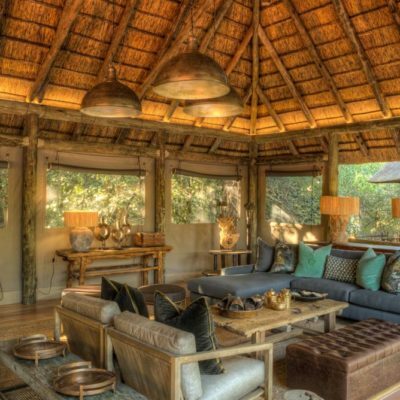 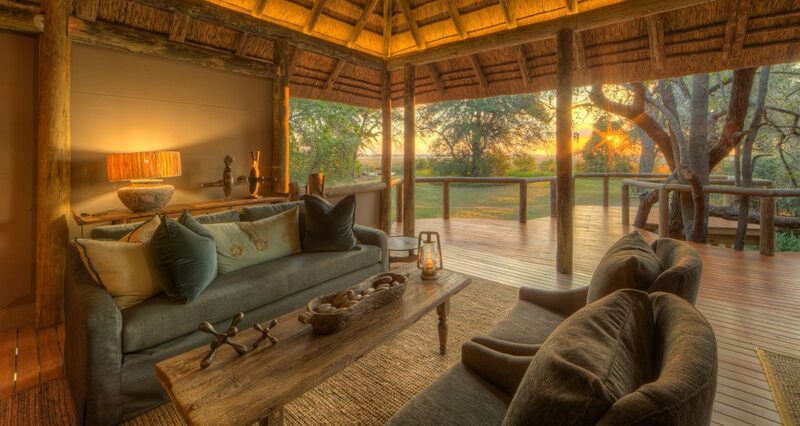 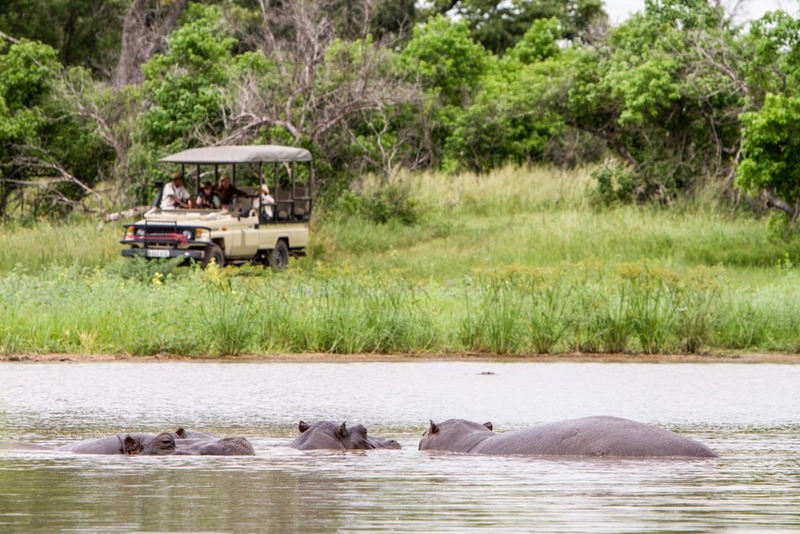 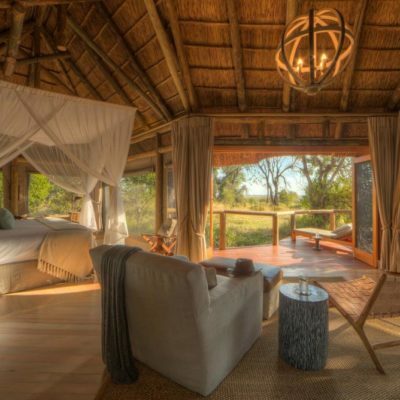 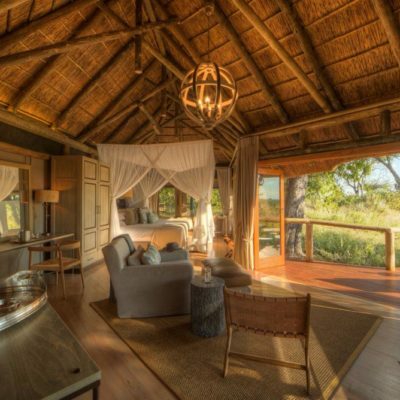 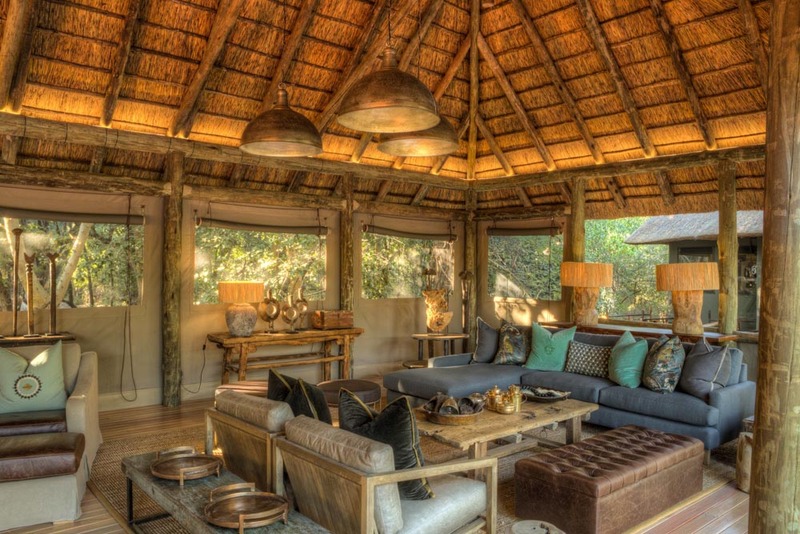 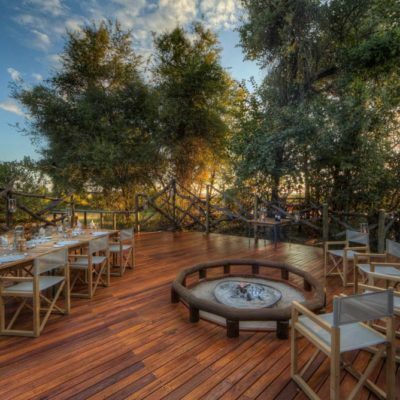 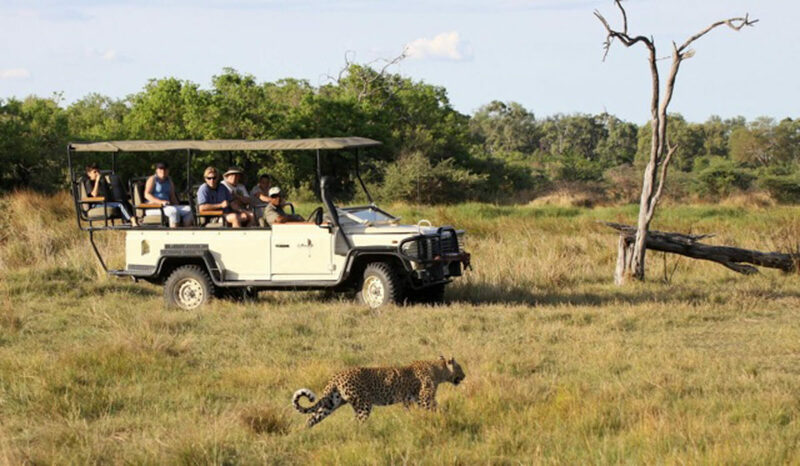 The main attraction from Sango Camp is the high quality game drives in the Khwai concession. 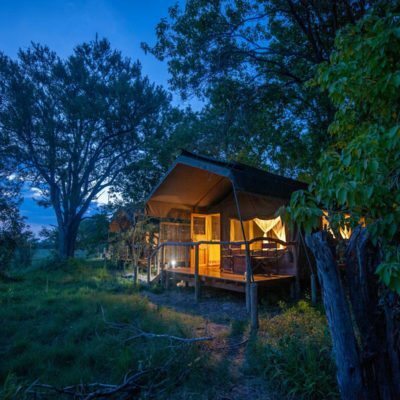 This is a top quality destination, especially for habituated predators. 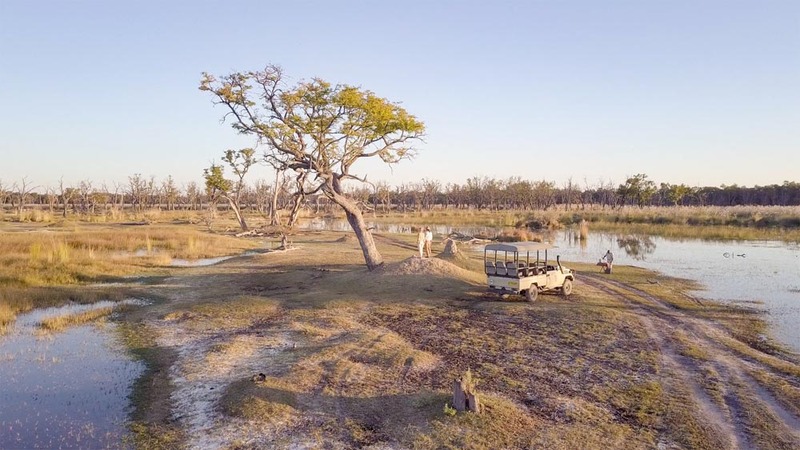 Every year in winter (June – August), wild dogs tend to den in the Khwai area. 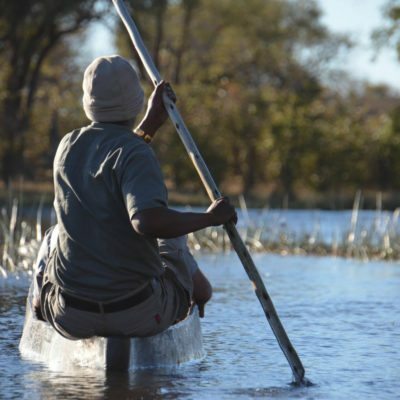 This makes for some of the best wild dog viewing in Africa! 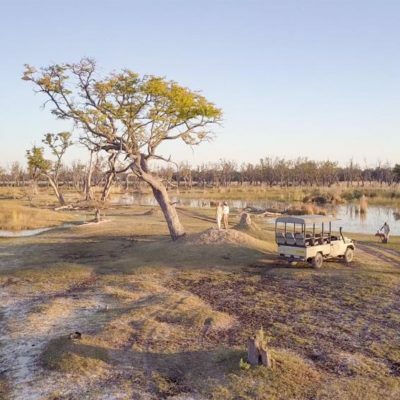 There have been some years where up to 3 packs of dogs have been utilizing this concession! 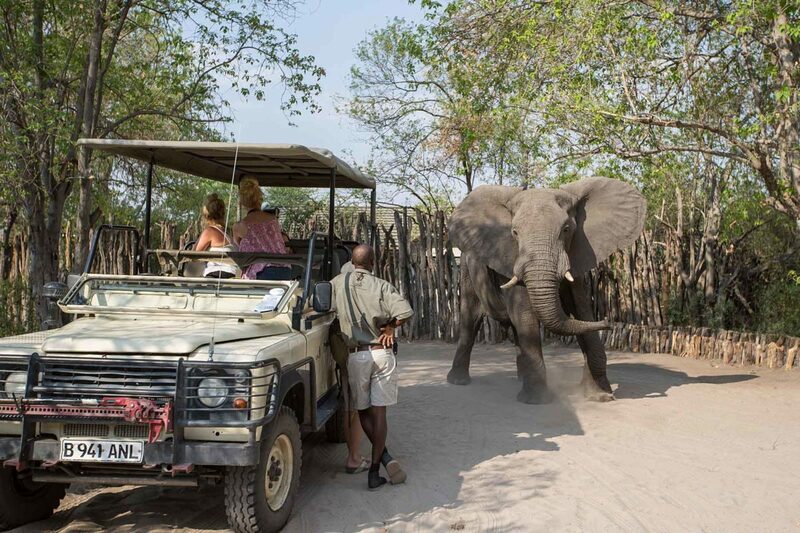 Guides at Sango will also conduct night drives in the concession and you can request to do a walk. 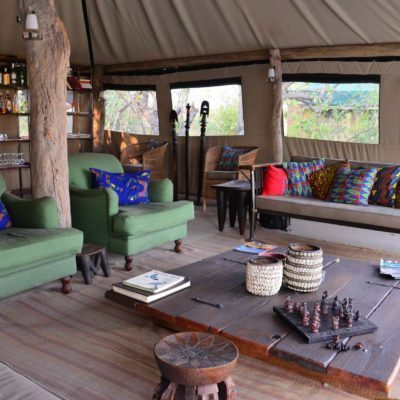 The Khwai village is close by so there are informal cultural tours available. 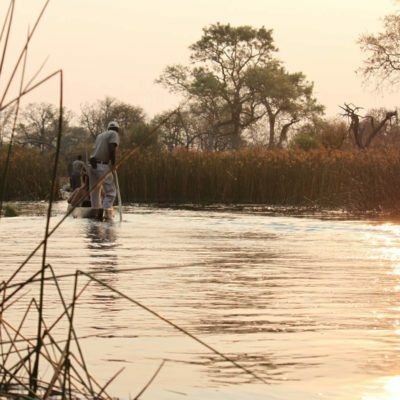 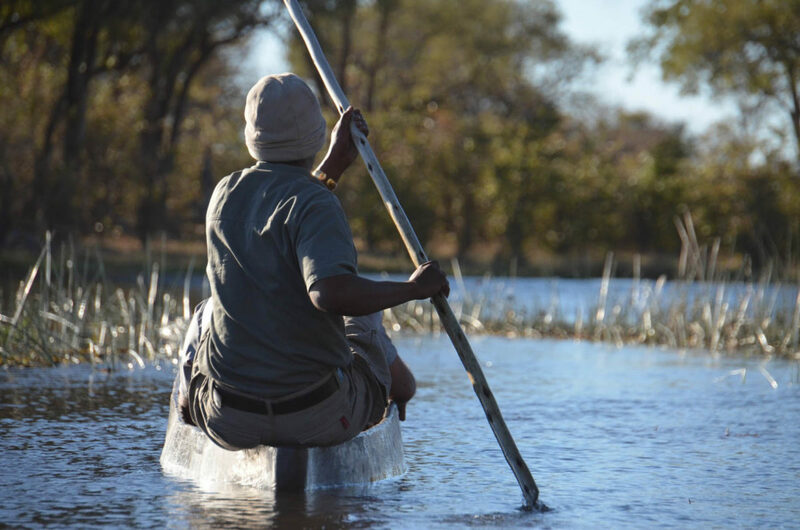 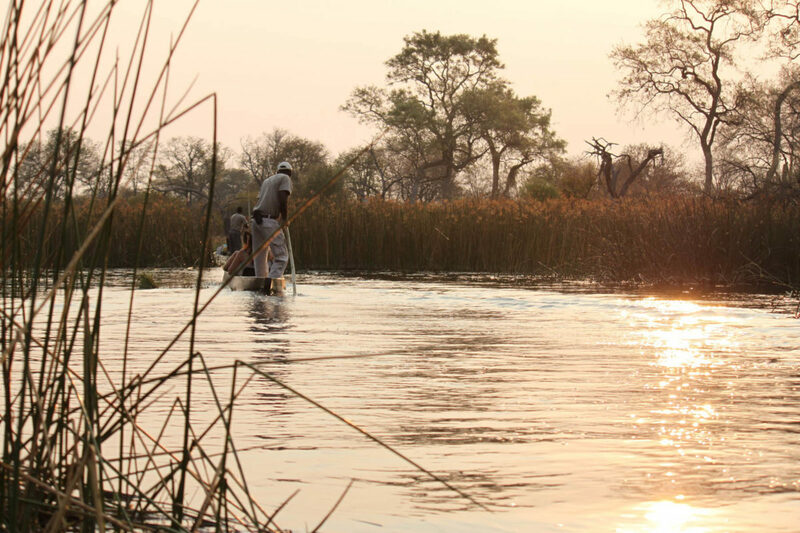 The lodge owners also run a mokoro station nearby where guides can take you out on the shallow “Sable Alley” river to explore by dug-out canoe. 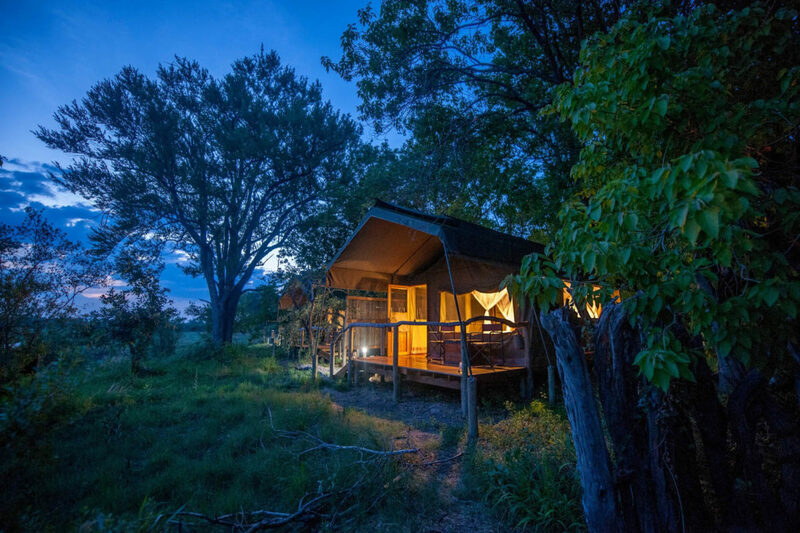 This camp is simple yet functional, with no excessive comforts. 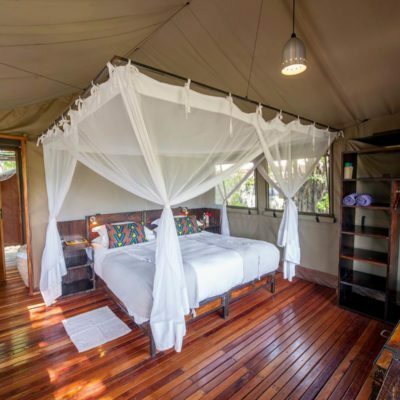 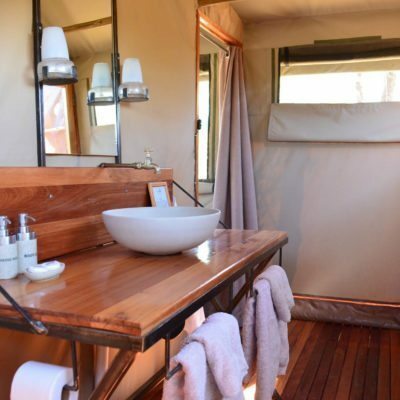 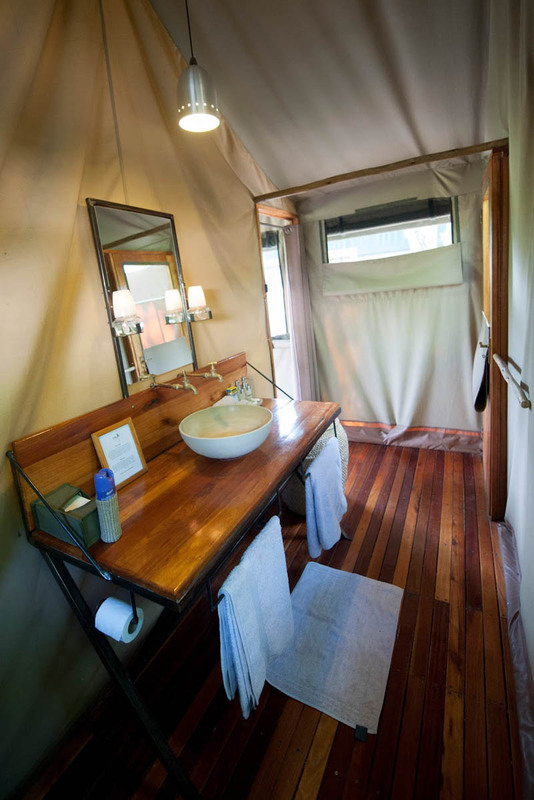 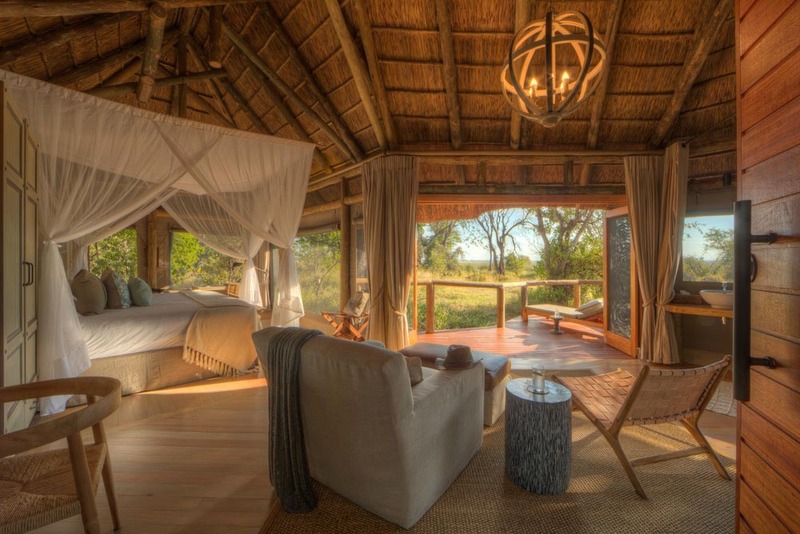 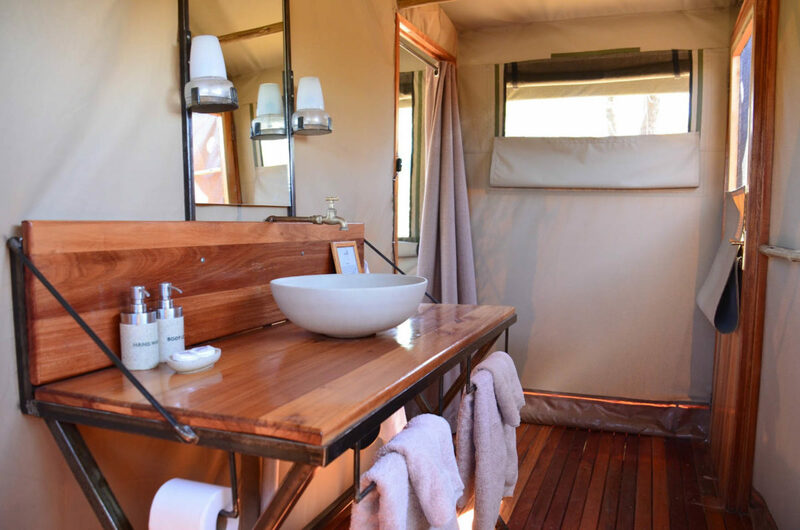 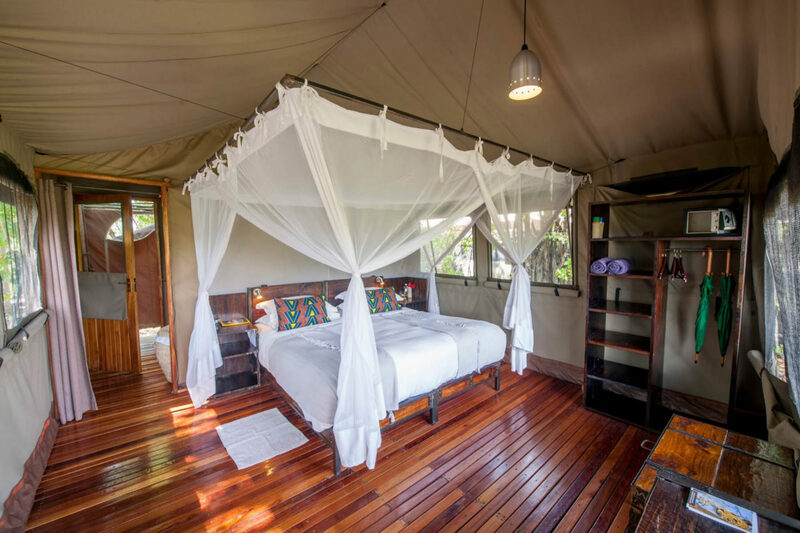 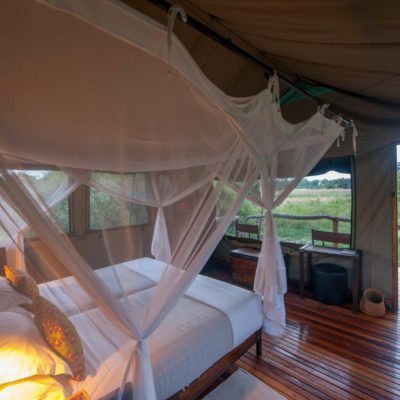 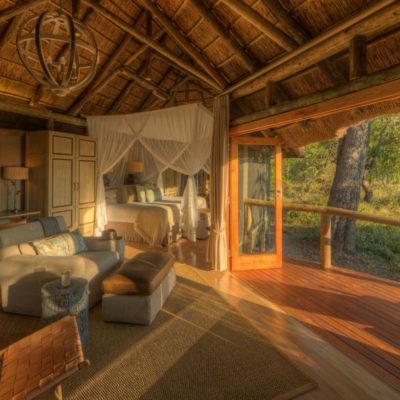 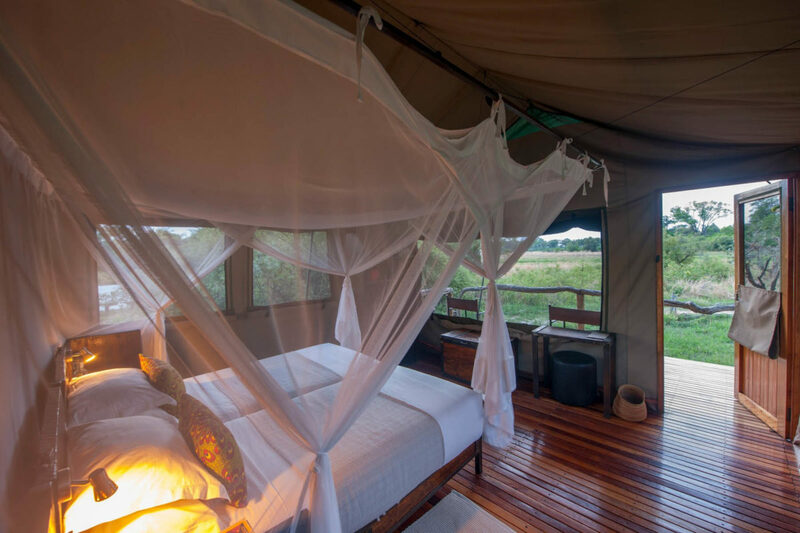 “Meru” tents on raised decks have en-suite facilities. 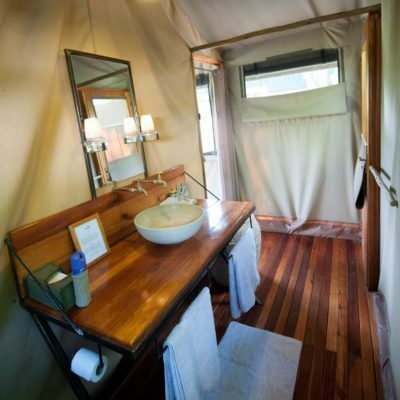 The camp started with bucket showers, but have recently upgraded to a full running water system. 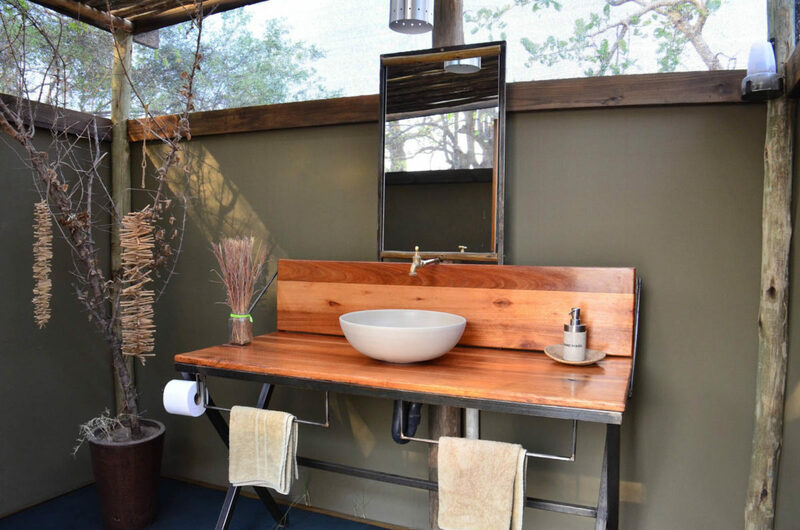 Everything else is there that you need – flush toilet, basins and mirror and a comfortable warm bed. 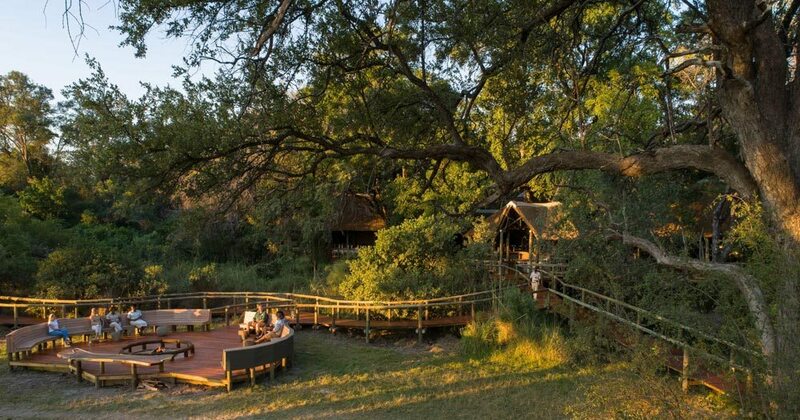 The Lodge is set slightly back from the main channel of the Khwai river, due to flooding, but nevertheless has a full river view looking into the park. 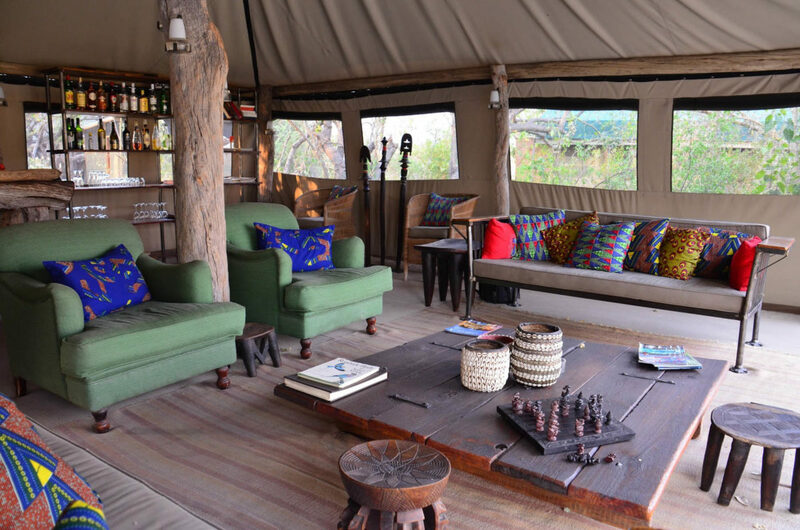 The Khwai village is close to the camp, hence the incredibly low prices charged by this camp. 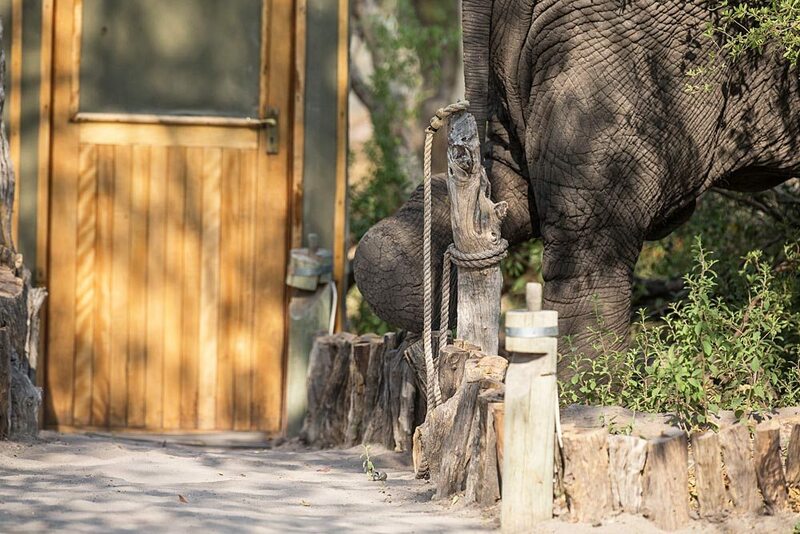 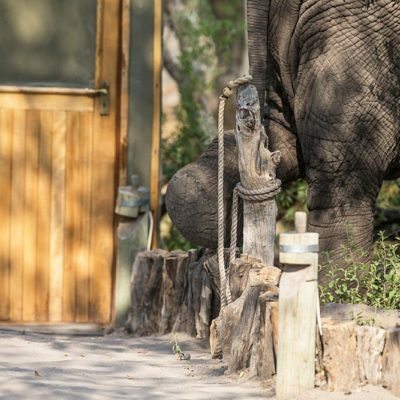 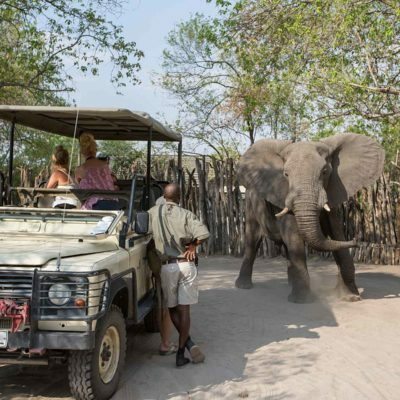 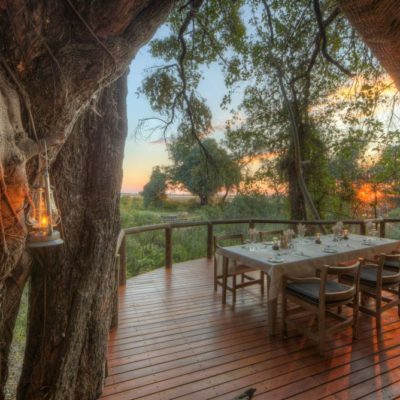 However, in our opinion, this is just a slight drawback, considering the immediate access to the game drive areas in the concession. 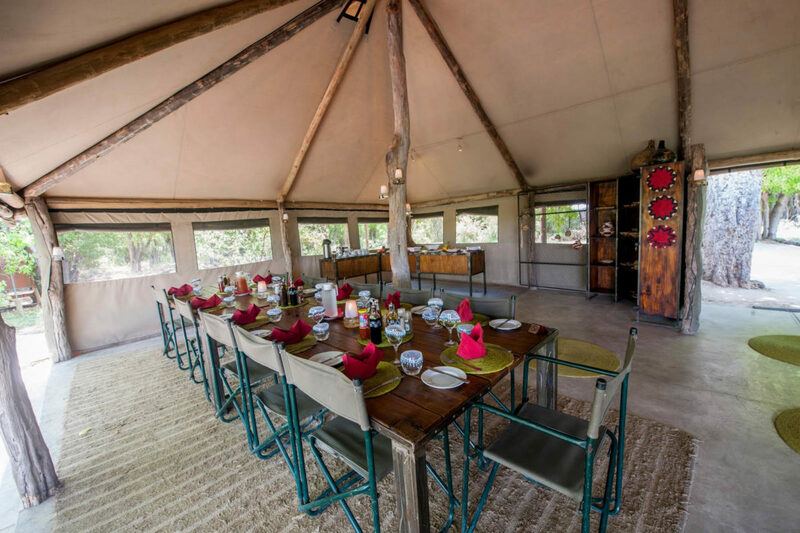 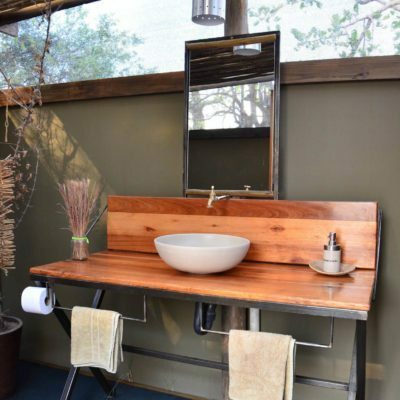 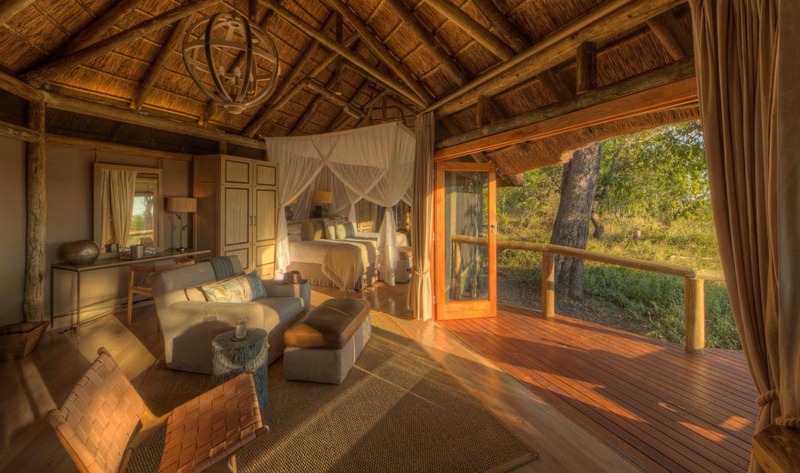 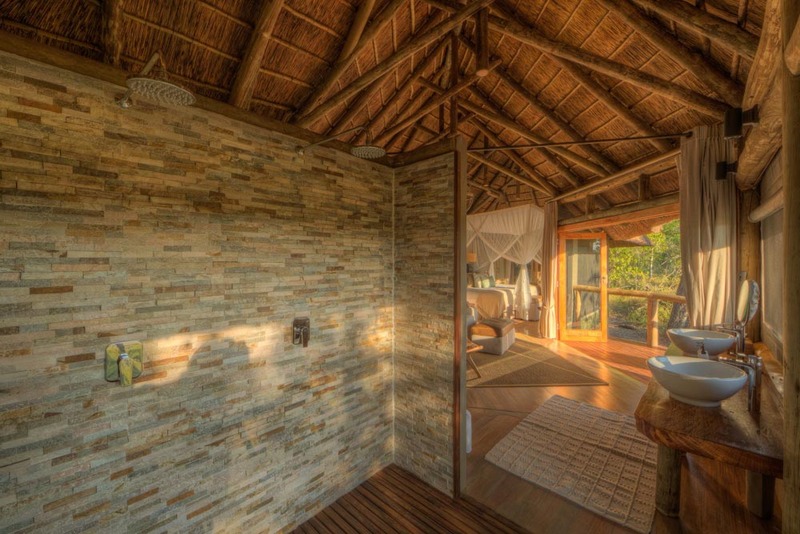 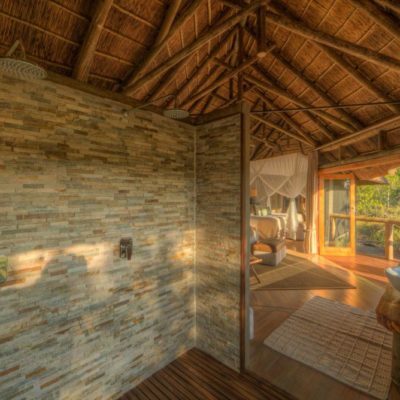 As stated, this lodge is located on the outskirts of Khwai village so you need to be prepared to hear and see noises and sights of wild and domestic animals as well as rural life. 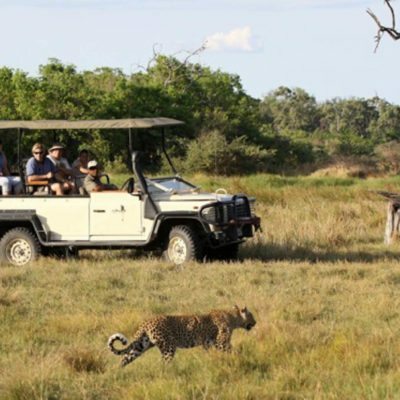 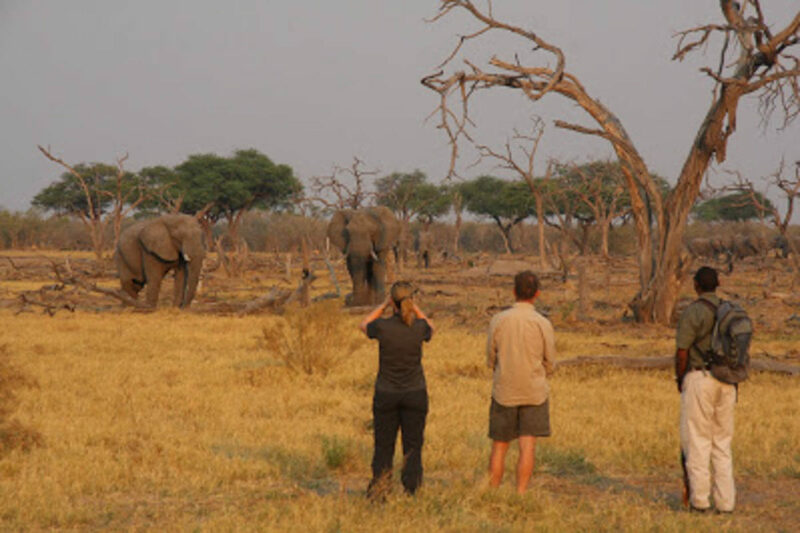 This is a small drawback as you get amazing game drives in this highly productive concession for a bargain price. 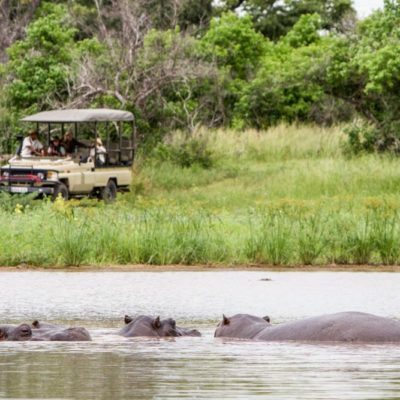 Further, it must be noted that in peak season, this concession can get very busy as there are now several lodges in this area. 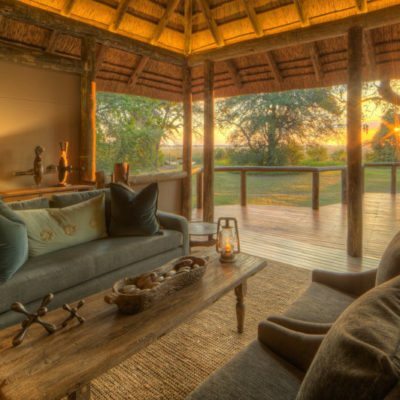 We like the owners of this lodge as they provide value for money lodge options.